Since 2010, Science & Theatre is a transdisciplinary cooperative project at the interface between science and art. It combines ethical and social aspects of the natural sciences with the staging of science plays and science communication in theatre. The project is run by Artistic Director Günther Grosser and Regine Hengge, Professor of Microbiology at Humboldt Universität Berlin. 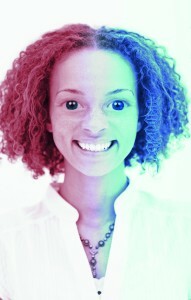 Modern science has dramatically changed the world around us and is affecting all our lives in many ways. We hear about global warming, gene therapy, stem-cell research, or nanotechnology every day. Moreover, we begin to realize that beyond dealing with intriguing discoveries and technical problems, scientific progress has social and ethical implications that should be addressed by our entire society. 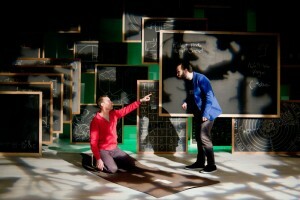 In contemporary theater this is reflected by an increasing number of ‘science plays’. 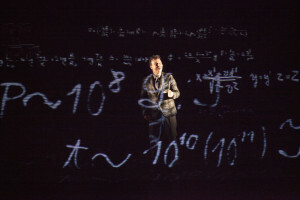 Originally inspired by disastrous consequences of the atomic bomb developed by physicists, these plays now increasingly focus on issues related to modern biomedicine. What are the social and ethical consequences of current scientific research? Are scientists responsible for these? How does public policy influence science? What does really happen behind the doors of research labs with scientists driven by lust for knowledge as much as for the Nobel Prize? In preparing the productions, the director, dramaturg and actors, for whom scientific issues are fresh territory, cooperate with scientists and advanced science students, who step out of the lab to explore social and ethical aspects of their work for the stage as a new medium for science communication. In a seminar which constitutes the first phase of each production scientists and students work along with the artistic team in preparing the actual plays; they research the scientific background of the scripts and share their experiences and skills with the production team. The final phase will be the performance, part of the official repertoire of ETB | IPAC, as a new means of science communication via the medium of theatre. A framework of films, readings, lectures and discussions with renowned scientists, members of the arts community and politicians will supplement the plays. 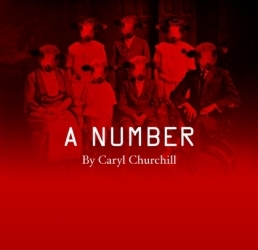 In a prelude phase in the spring of 2010, the public was introduced to the project – PART 1 – with a production of Caryl Churchill’s play A Number dealing with social implications of human cloning, which, after the cloning of “Dolly” the sheep and numerous other animals since then no longer seems to belong to the realm of science fiction. The play chosen for PART 2 February 2011 was An Experiment with an Air Pump by Shelagh Stephenson, dealing with prenatal diagnostics, women’s roles in science, and humans as research subjects. T he core project of PART 3 was a production of Anna Ziegler’s play Photograph 51, dealing with the discovery of the DNA structure and women in science. It also included – as PART 4 – a new step: Designer Jeans Genes, a school project on Synthetic Biology developed by students from Heinrich-Schliemann-Oberschule, Leibniz-Oberschule, and Humboldt-Oberschule. PART 5 presented the European premiere of Lucas Hnath’s comedy Isaac’s Eye about the rivalry of Isaac Newton and Robert Hooke juxtaposing historical characters and facts with our 21st century based projection of them. PART 6 Commemorating the 100th anniversary of Albert Einstein´s famous talk on General Relativity on Nov 25, 1915 in Berlin, the Science&Theatre team together with the Max Planck Institute for the History of Science commissioned a play from US-American playwright and historian of science Robert Marc Friedman: Transcendence. PART 7 HeLa by Lauren Gunderson and Geetha Reddy was presented as a staged reading in 2017. 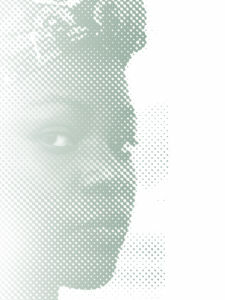 The play deals with the famous Hela cells, how they became what they are, and why Henrietta Lacks who died of a tumor in 1952 lives on forever. PART 8 was a production of the German translation of Informed Consent by Deborah Zoe Laufer called EIN/VERSTÄNDNIS which deals with the consequences of neglegting consent in scientific research and the question of how much our genome really defines who we are. Prof. Dr. Regine Hengge headed the Freie Universität’s Microbiology Unit from 1998 to 2013 and since then has held a similar position at the Humboldt-Universität Berlin. She received numerous scientific awards, among them the Gottfried-Wilhelm-Leibniz-Prize (1998), the Landesforschungspreis Baden-Württemberg (1996) and an ERC Advanced Investigator Grant (2010). She is an elected member of the Berlin-Brandenburg Academy of Sciences, the Deutsche Akademie der Naturforscher Leopoldina, and the European Organisation for Molecular Biology (EMBO). Science & Theatre ist ein transdisziplinäres Kooperationsprojekt an der Schnittstelle von Wissenschaft und Kunst. Auf völlig neuartige Weise werden hierbei ethische und soziale Aspekte in den Naturwissenschaften in der Ausbildung von Nachwuchswissenschaftler/innen mit der Inszenierung von Science Plays und Wissenschaftskommunikation im Theater verbunden. Die in den vergangenen zwei Jahrzehnten in erheblichem Maße gestiegene gesellschaftliche Wertschätzung der Naturwissenschaften bis hin zu heilsbringenden Erwartungen an medizinische, biologische und ökologische Forschung brachte auch eine gestiegene Beschäftigung der Künste mit naturwissenschaftlichen Themen mit sich. Dazu gehörte und gehört auch eine ganze Reihe von Theaterstücken und – projekten, die sich dezidiert mit Wissenschaft und damit einhergehenden Aspekten ethischer, sozialer und politischer Natur befassen. 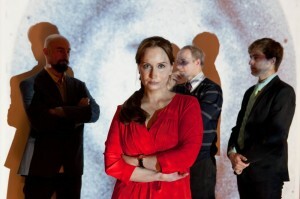 Seit 2010 werden vom English Theatre Berlin unter der künstlerischen Leitung und Regie von Günther Grosser in Zusammenarbeit mit Prof. Regine Hengge, und Nachwuchswissenschaftler/innen der Biologie Inszenierungen aus dem Themenbereich Naturwissenschaft und Theater vorbereitet und präsentiert. Dabei werden am Institut für Biologie zunächst im Rahmen der Ausbildung von Masterstudierenden und Doktorand/innen soziale Auswirkungen und ethische Aspekte moderner Naturwissenschaft theoretisch in einem ersten Seminarteil behandelt, an dem auch Regisseur und Schauspieler bereits teilnehmen können. 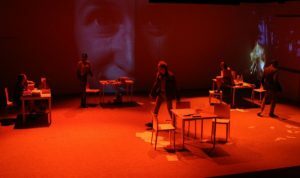 Nach dieser Vorarbeit arbeiten Wissenschaftler/innen und Studierende an der Vorbereitung der konkreten Theaterstücke zusammen mit Regisseur, Dramaturgie, und Schauspieler/innen mit, d.h. sie recherchieren wissenschaftliche Hintergründe des Stücks und kommunizieren ihre bereits vorhandenen Erfahrungen und Kenntnisse an die Schauspieler weiter, für welche wissenschaftliche Aspekte in Theaterstücken völliges Neuland sind. Am Ende steht dann die Aufführung im Rahmen des offiziellen Programms des English Theatre Berlin, also Wissenschaftskommunikation an die Öffentlichkeit über das Medium Theater. Studium und Promotion an der Universität Konstanz – Postdoc-Aufenthalt an der Princeton University (NJ, USA) – Habilitierung für Mikrobiologie und Molekulare Genetik an der Universität Konstanz – 1998 bis 2013 Lehrstuhl für Mikrobiologie am Institut für Biologie an der Freien Universität Berlin – Seit 2013 Lehrstuhl für Mikrobiologie am Institut für Biologie der Humboldt-Universität Berlin. Auszeichnungen: Gottfried-Wilhelm-Leibniz-Preis der DFG (1998) | Landesforschungspreis Baden-Württemberg (1996) | ERC Advanced Grant (2009). | Gewähltes Mitglied der Berlin-Brandenburgischen Akademie der Wissenschaften, der Deutschen Akademie der Naturforscher Leopoldina, der European Organisation for Molecular Biology (EMBO) und der American Academy of Microbiology, sowie Gründungsmitglied der European Academy of Microbiology.